Life always seems to flit here and there. 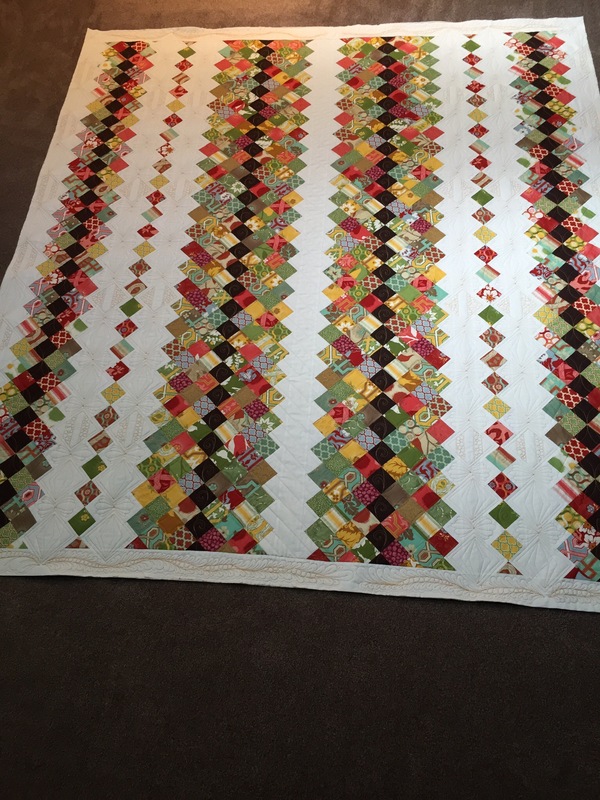 Sometimes it moves at a regular pace so I am able to get things completed in a reasonable amount of time. I am thankful for those times. I feel that I can breathe and enjoy special moments. Then there are those times when I blink and life has jetted past me, leaving me in the dust and well behind schedule. I do not relish those times. I am still thankful I am here and able to look for blessings, but I do not like feeling behind. 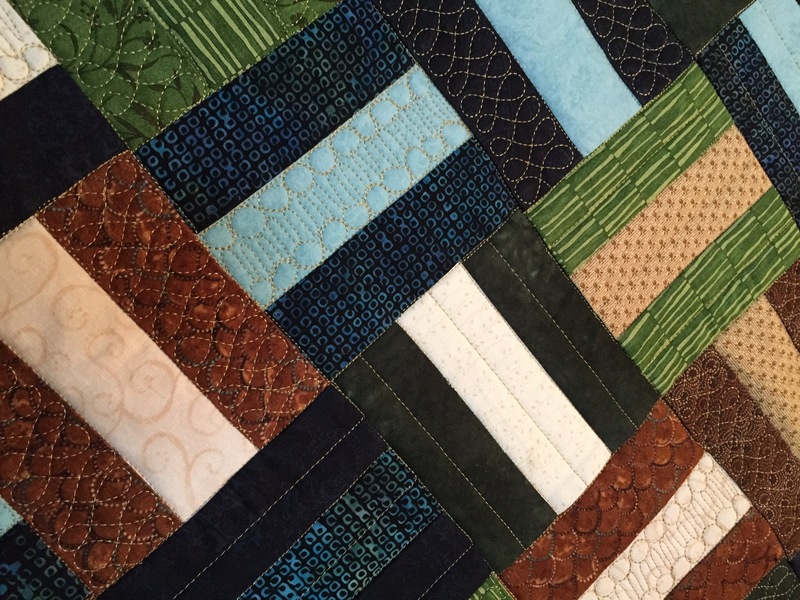 This year, 2017, I am going to try to be more focused on my time around Quilting. 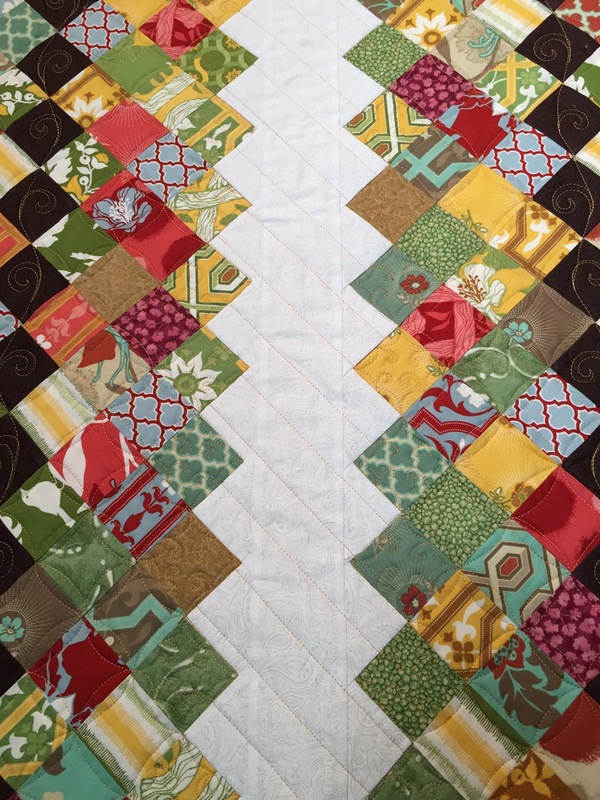 I will be scheduling Quilting jobs a bit differently and hopefully more efficiently than I have in the past. So………. 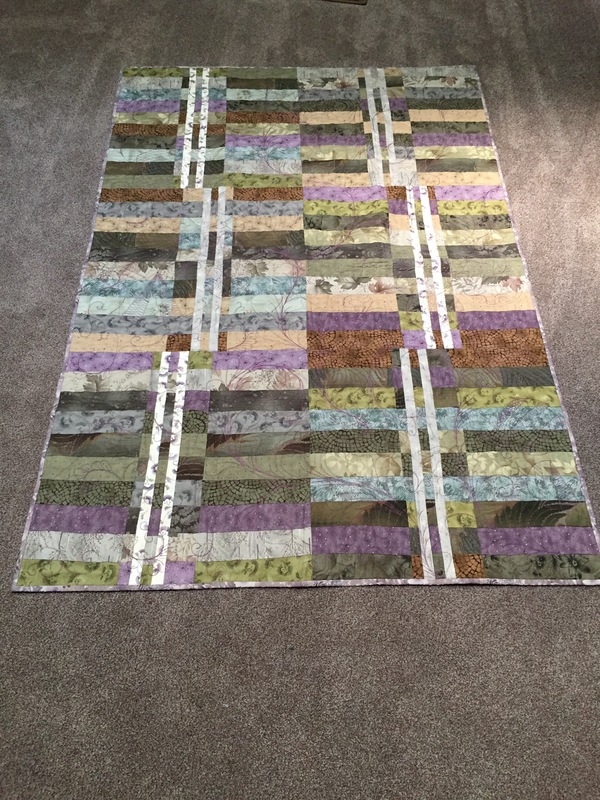 It is time to book your longarm project for the year. Choose a month you would like to have your top to me and I will put you in that spot. I will call you to remind you that you need to have your top to me at the first of your month. I had some clients do this last year and it worked out very well. 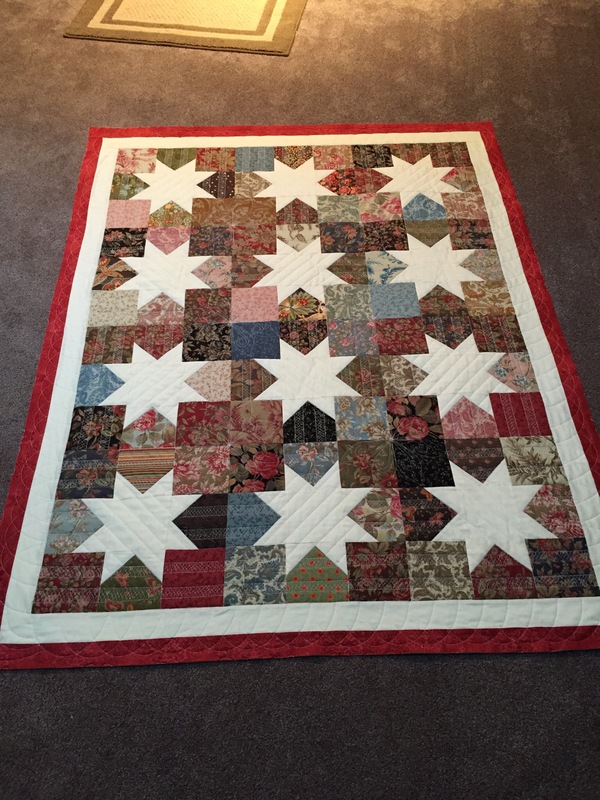 One client chose every other month to have a quilt quilted. 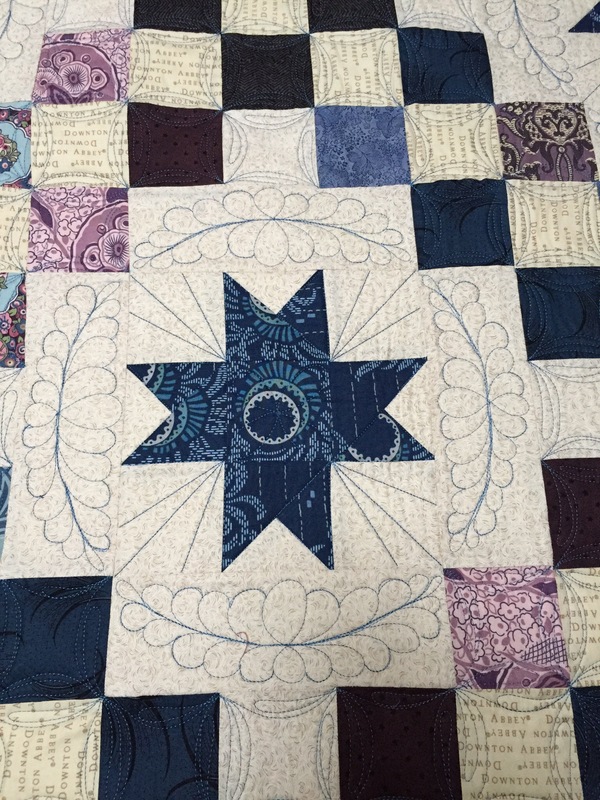 It gave her a deadline for completing pieces and it helped me schedule her Quilts. Call me and let me know when you would like to be on the schedule! Don’t forget that I will do binding for you as well. 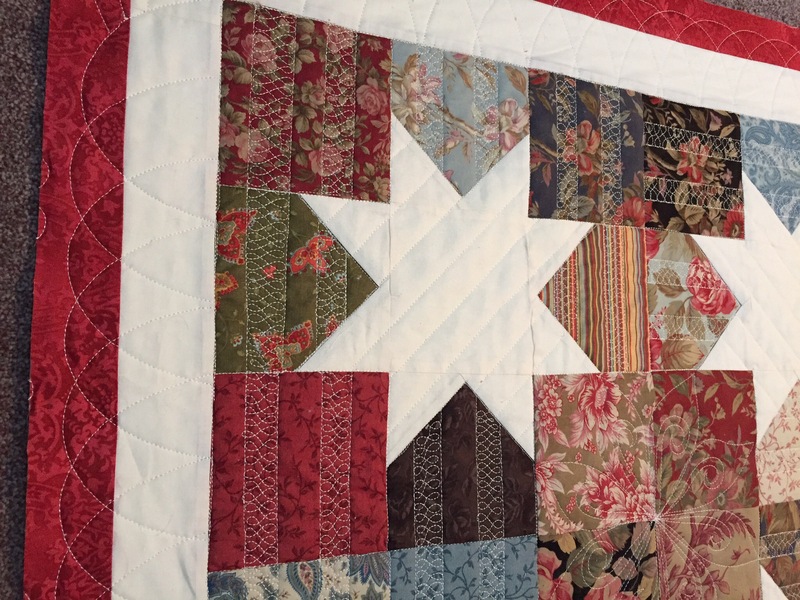 That way you get a completed quilt! 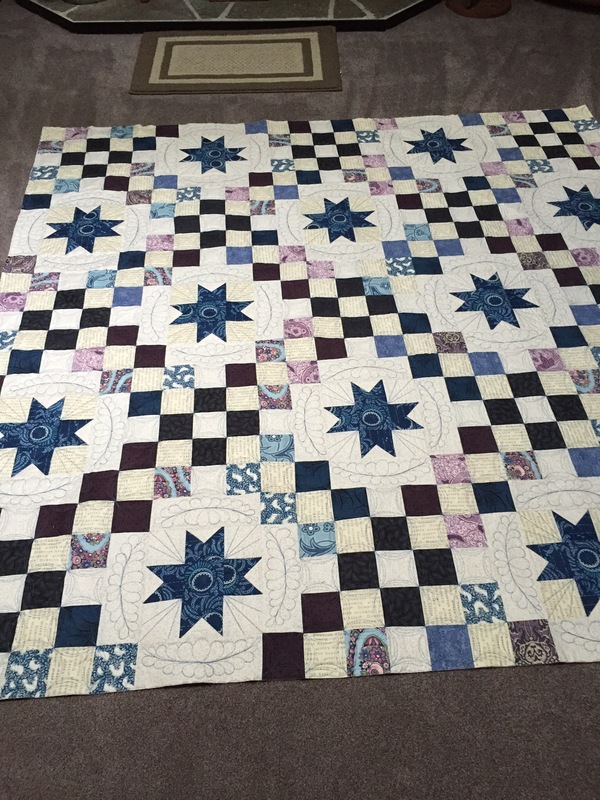 I am sharing sharing a couple of projects to hopefully brighten your day. Remember to hug your loved ones! It is hard to believe that 2015 has come and gone in the blink of an eye. 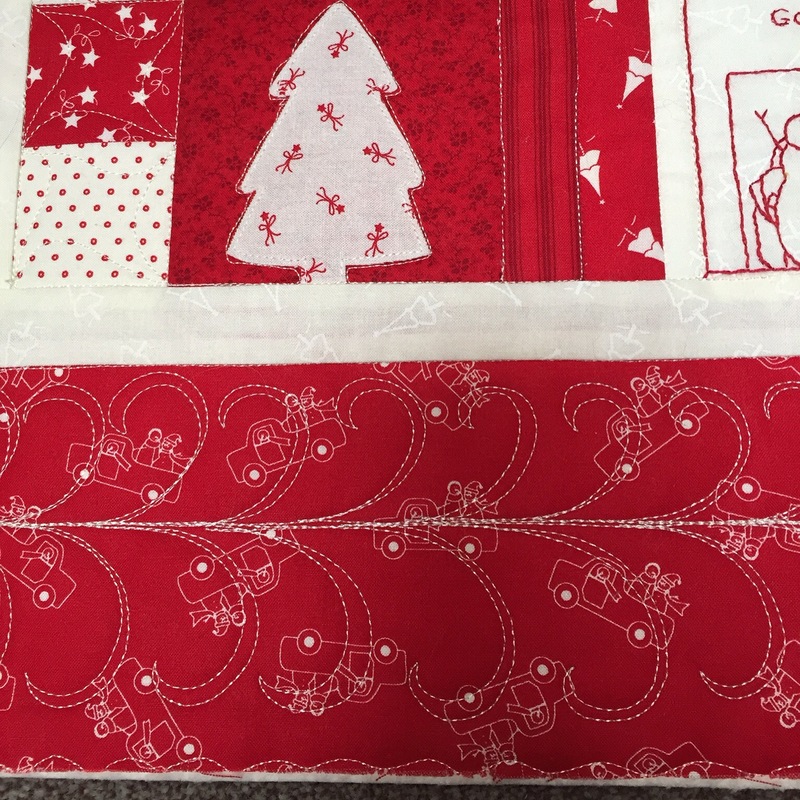 I thought there would at least be 12 months…..oh, wait…..there were and they flew by so fast that I can only hope 2016 will move a little slower. This is the time of year that we all consider how to make this next year be different in some way. Some of us have goals. Some of us have resolutions, some of us make lists, and some of us just hope that this new year brings about some changes of some kind or continuation of things we like that happened last year. I have never been one to make resolutions, but I do have hopes. For those of you that know me, I always have HIGH hopes. I seem to want the moon, but will take a piece of cheese if that is what happens. 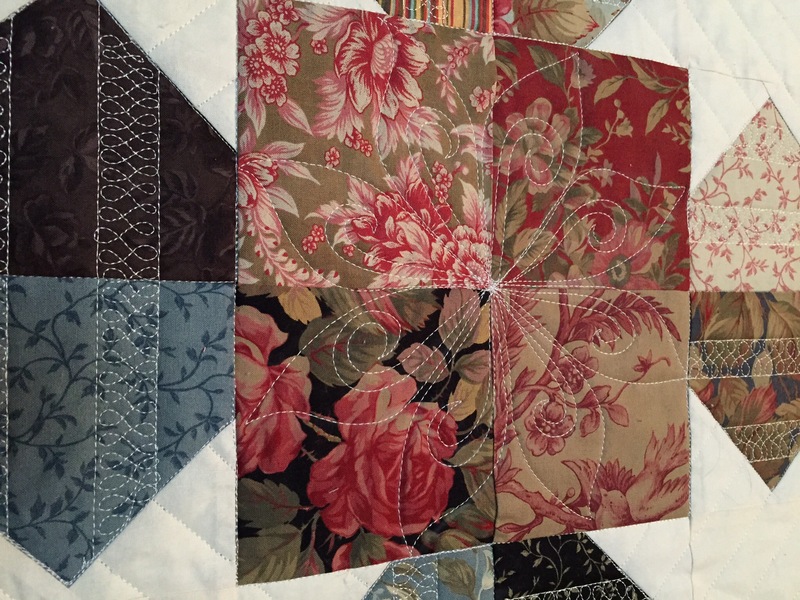 My hopes for this year is for moderation in projects that I attempt this year. Moderation in gardening, moderation in landscaping, moderation in my budget, moderation in activities that take time away from what I would really like to do, and moderation in expectations of myself. There it is, those HIGH hopes once again! 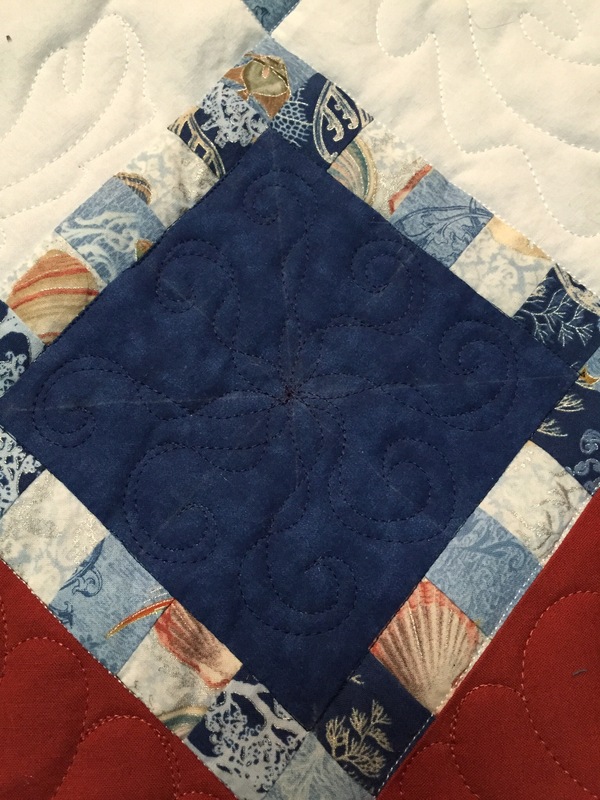 I think my biggest hopes are to travel a bit more this year, to spend more time with my family, and to have a bit more time for my own quilting projects. Scheduling did not go as I wanted last year so I definitely need to make a change to allow more ME time. 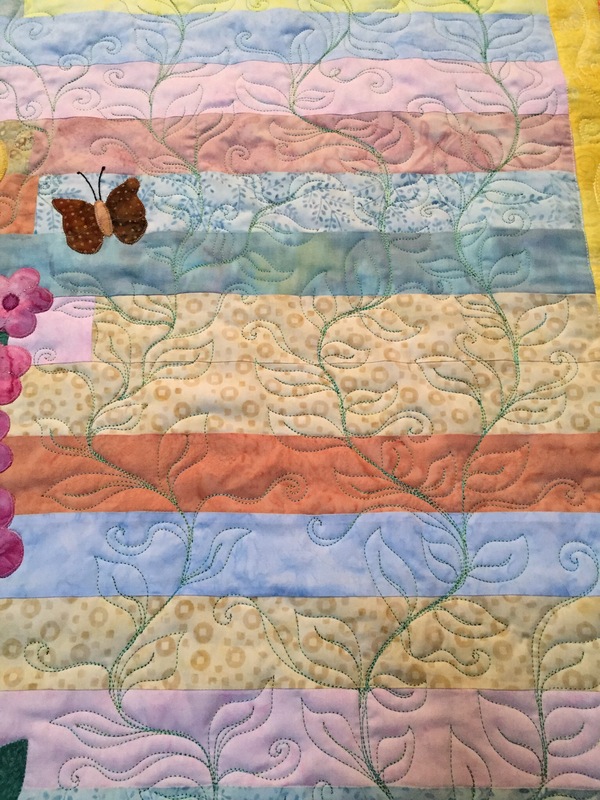 I also hope to be able to write more on the blog and post more photos of the quilts that I complete for myself and for my clients. I was not very good at posting last year and I apologize. Time management seems to float right out the window on many days. 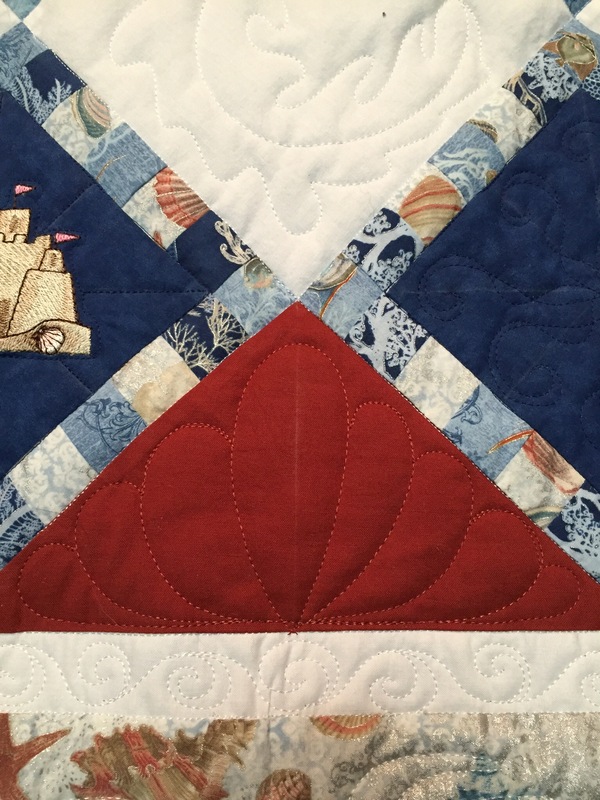 Speaking of time management, now is the time to think about the quilt tops you would like to get quilted this year and call to get placed on the schedule. The slots fill up before you know it and then my turn around time is further out then either of us would like. I do have some clients that keep a consistent slot every two months so they know when there time is available and they are ready to go. I truly wish you have a 2016 that is relaxing, loving and pieceful! I leave you with a few photos for a bit of eye candy until I post again. Another hope, to post more regularly this year. 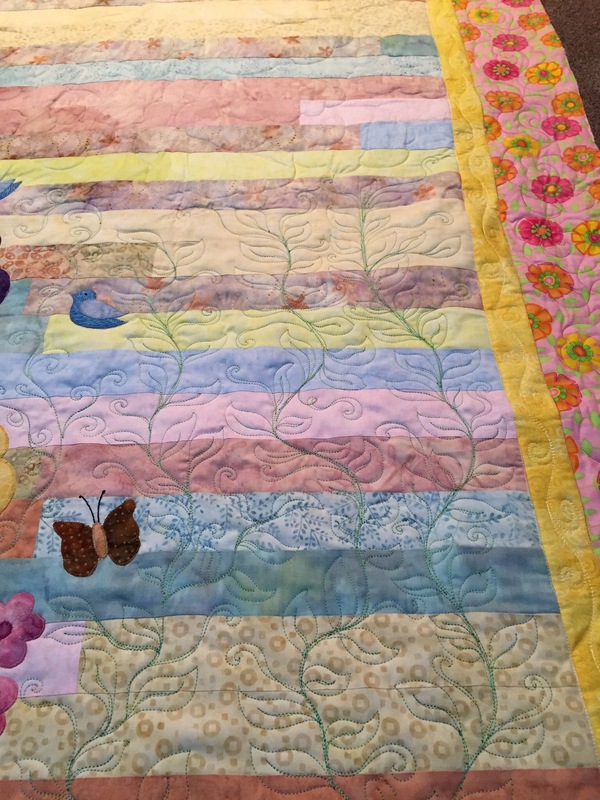 I have been sew busy quilting that I have not posted in a while. The saying “the hurrier I go, the behinder I get” seems to match my summer. 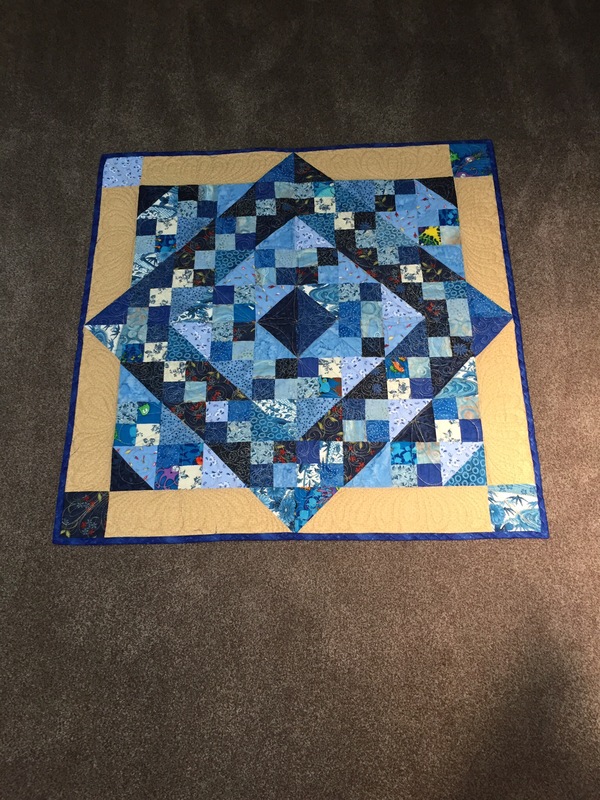 I have been very focused on getting quilting pieces completed for my clients but sometimes it seems that I am not making progress. 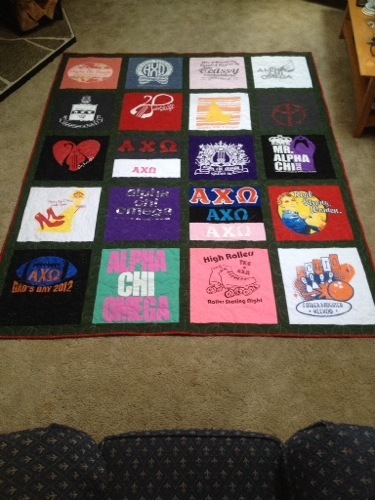 It is always nice to look back at some of the quilts I have completed. Enjoy the show! 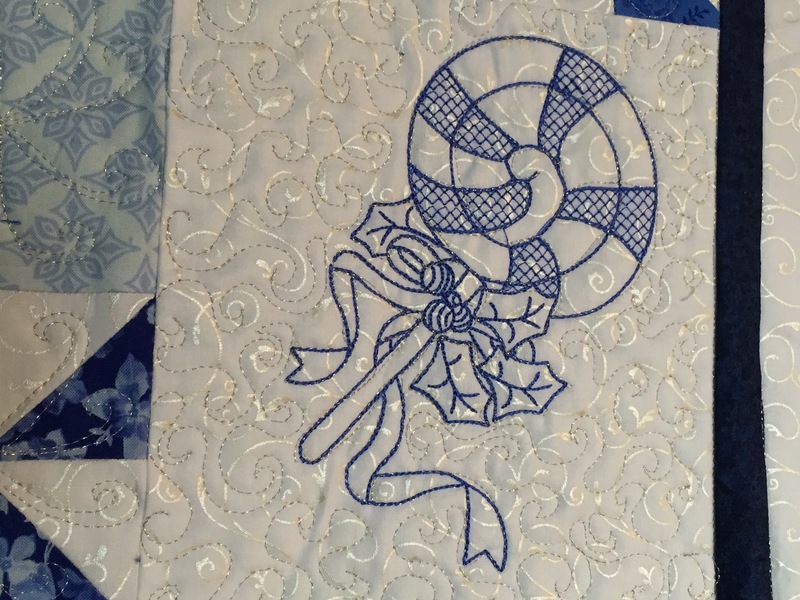 Here are a couple of the details from the darling snowman quilt. 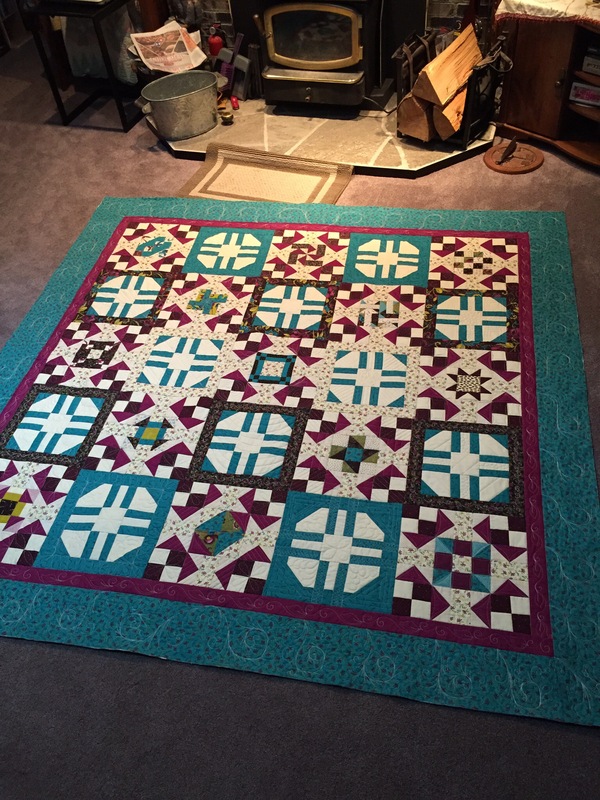 This wall hanging was commissioned using antique appliqué blocks. 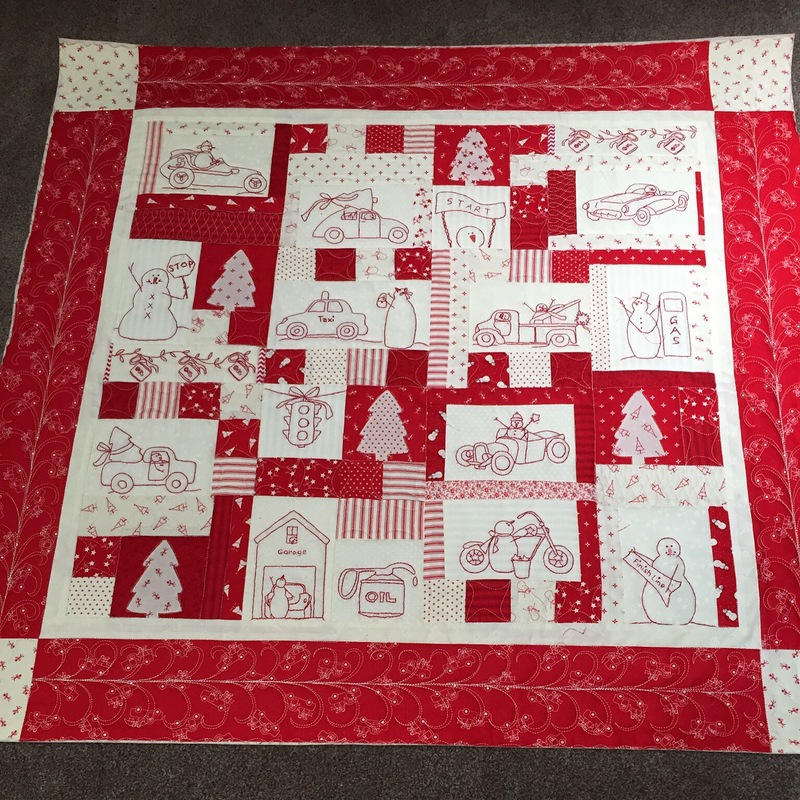 The detail pictures below show how nicely it turned out. 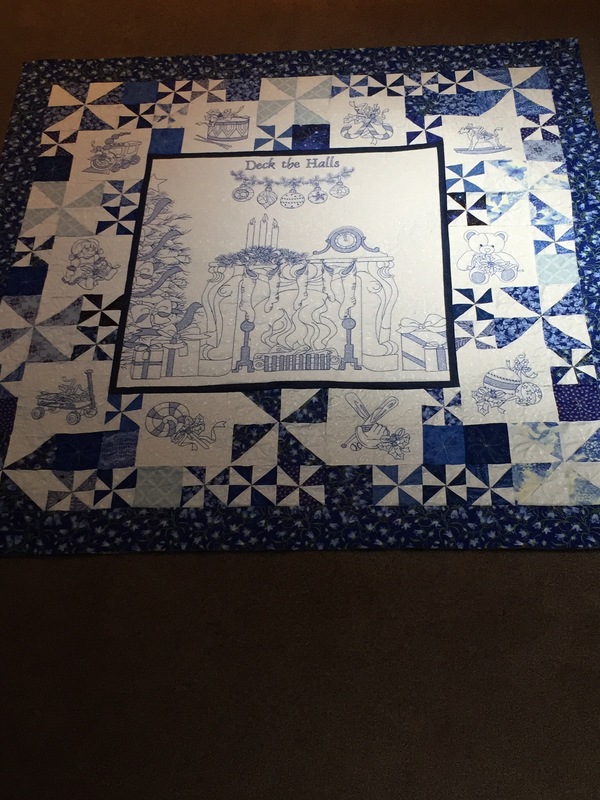 This blue and white quilt was one of my favorite client pieces this summer. 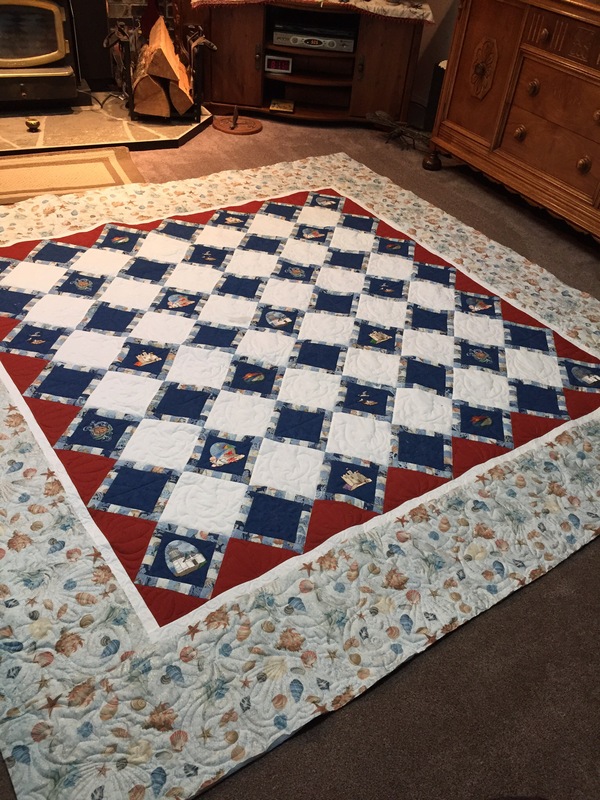 I made this Levi quilt for a repeat client. I like to work with the varied shades from the Levi pants. I loved the colors and movement this piece presented. 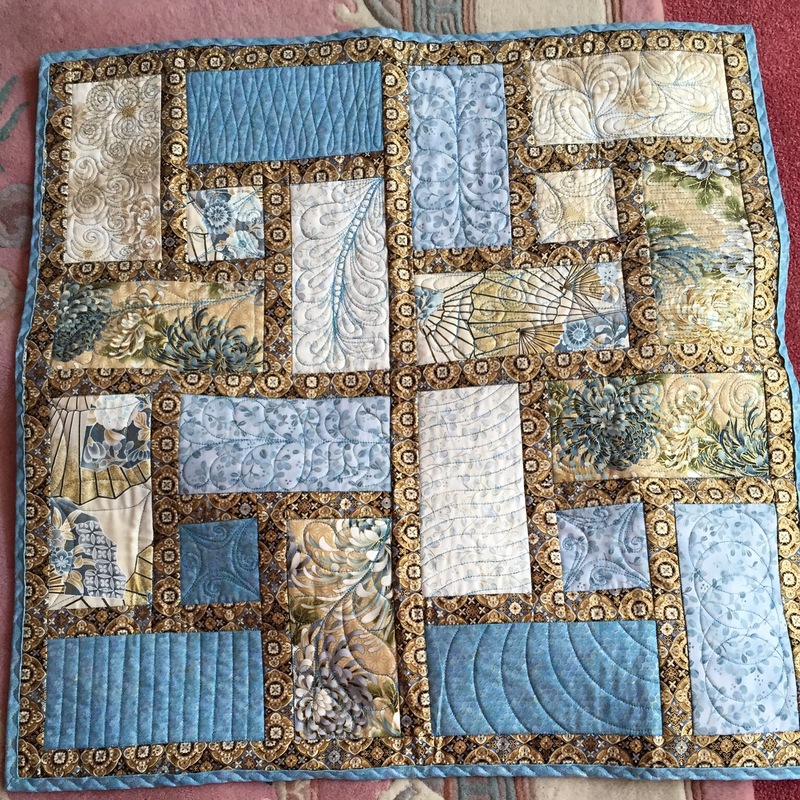 I have been able to be very creative this summer with my quilting. 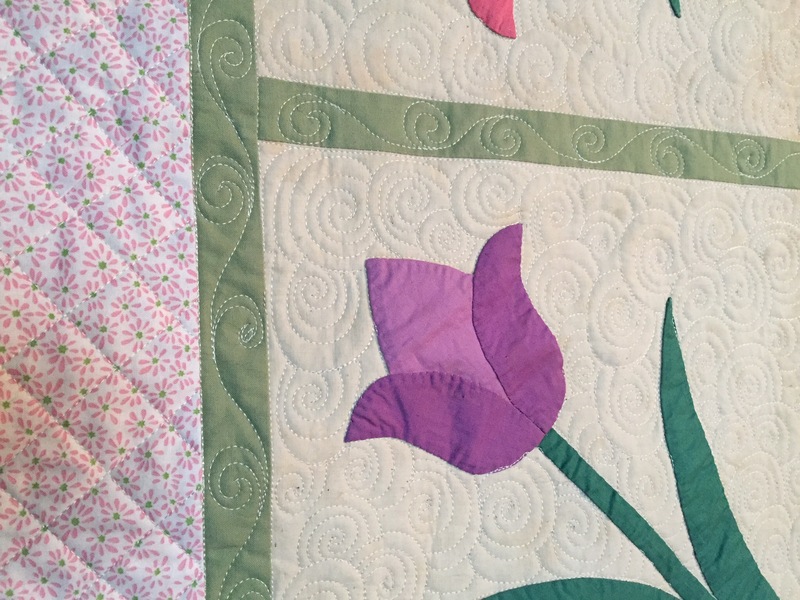 It helps to have great pieces to work with each day. 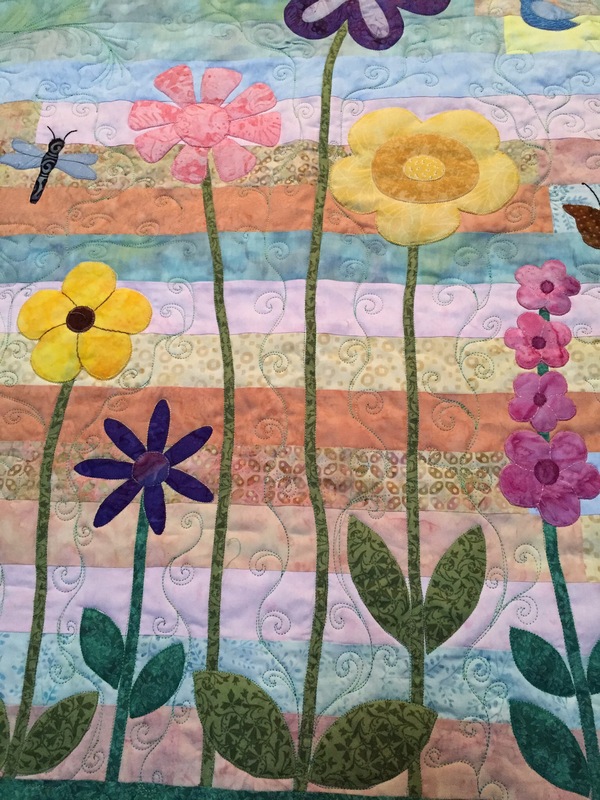 A little flower garden to “grow” is always a visual treat. 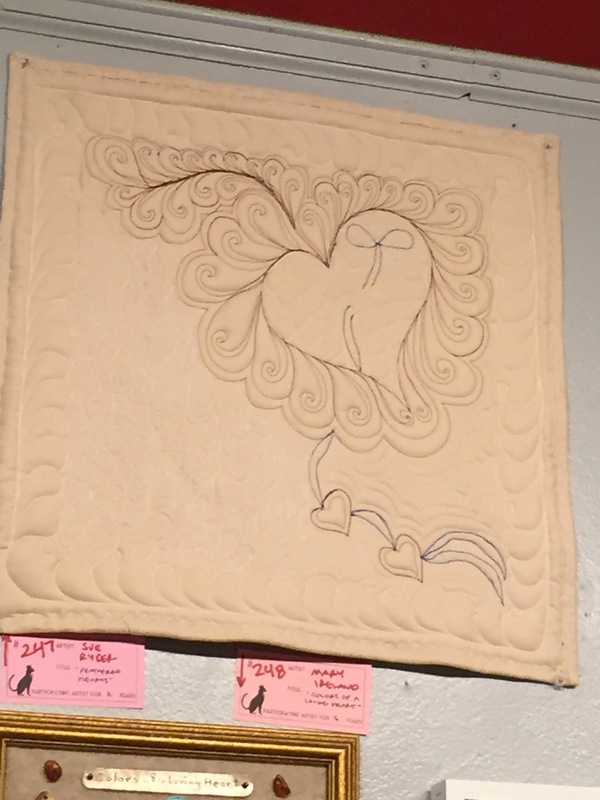 This was my Valentines For Aids auction piece this year. 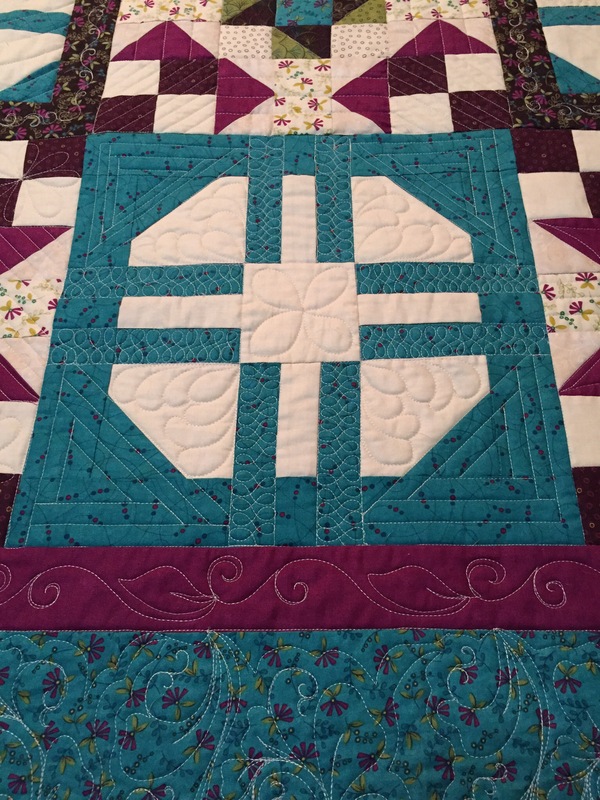 Loved being able to be very inspired with this great quilt. 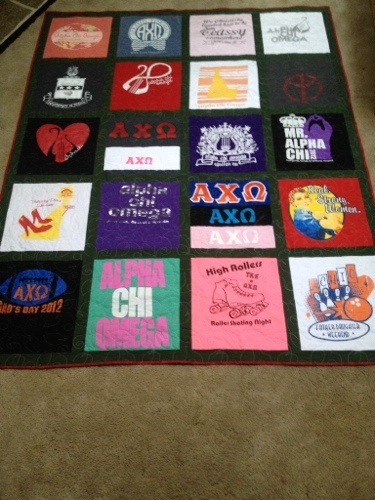 Here is the quilting on the back side of the quilt. 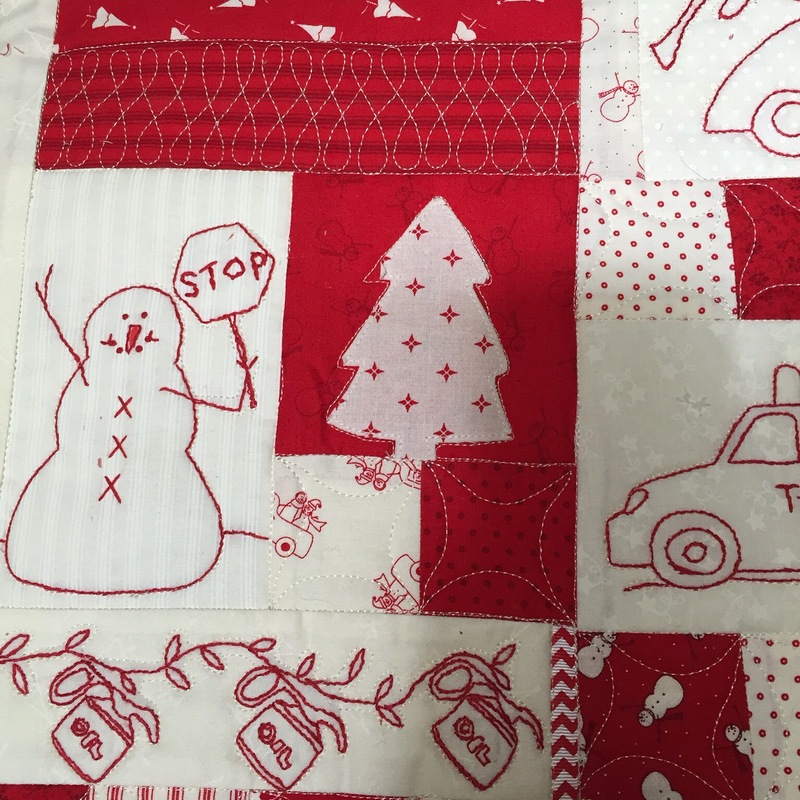 This cute snowman quilt just made me smile. 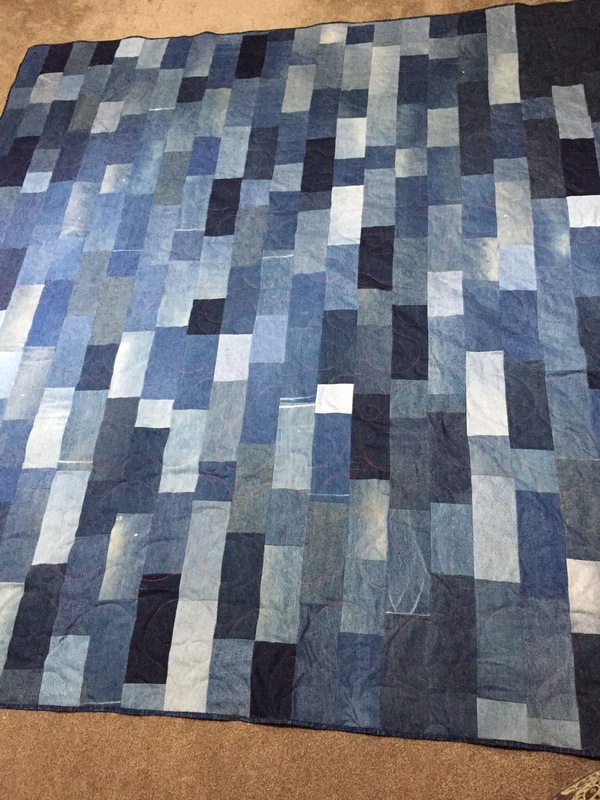 This quilt was very large and took a bit of time to finish. 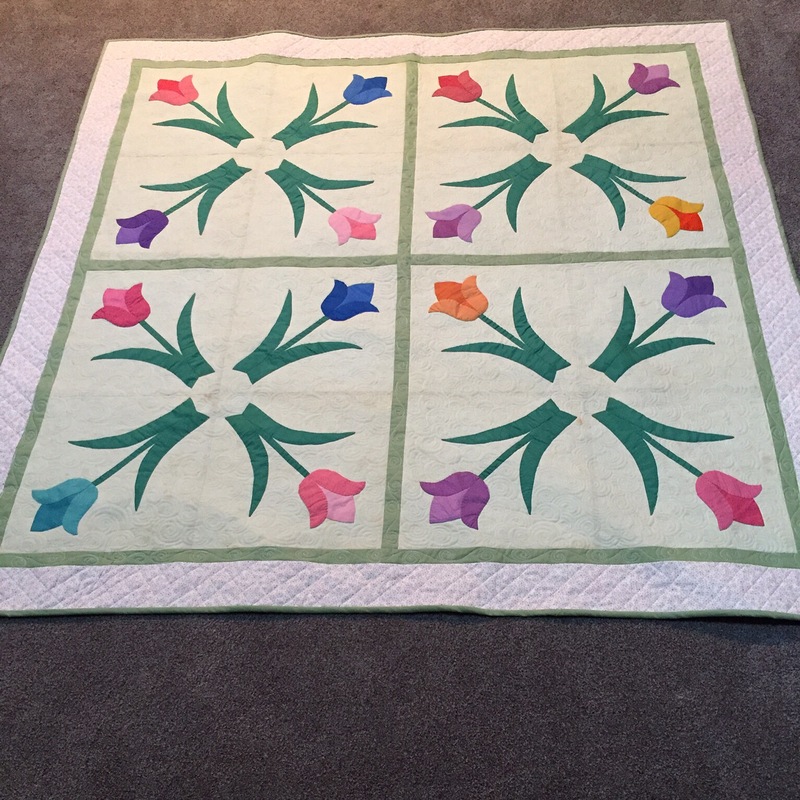 Having a small piece made me think I was catching up on my client quilts. 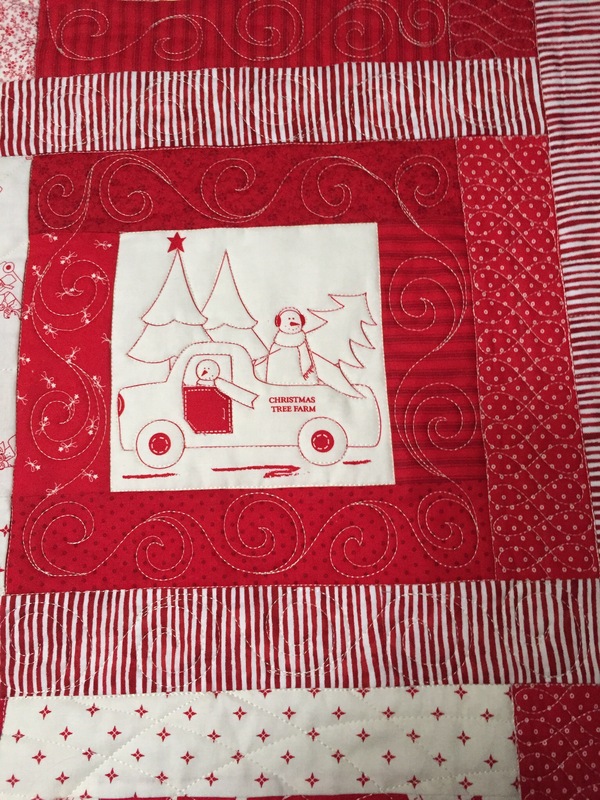 My dear friend and I each did this embroidery piece to learn how to use our machines. 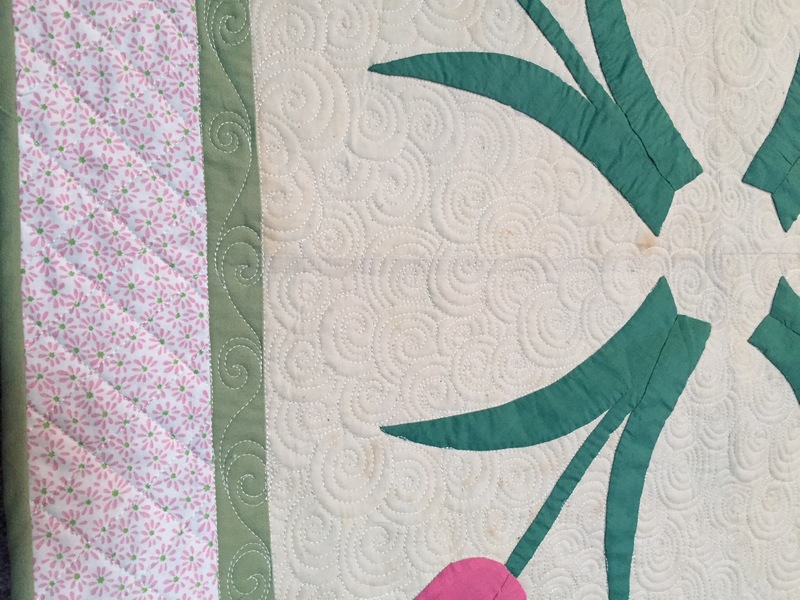 She finished hers and I quilted it. Mine is not finished yet. 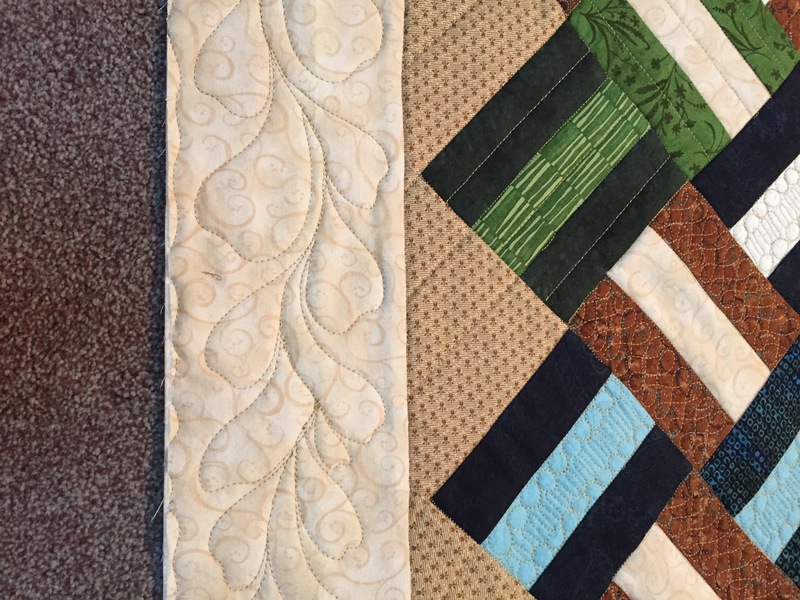 The following pieces continued to keep me busy this summer as I quilted, quilted, and quilted some more. 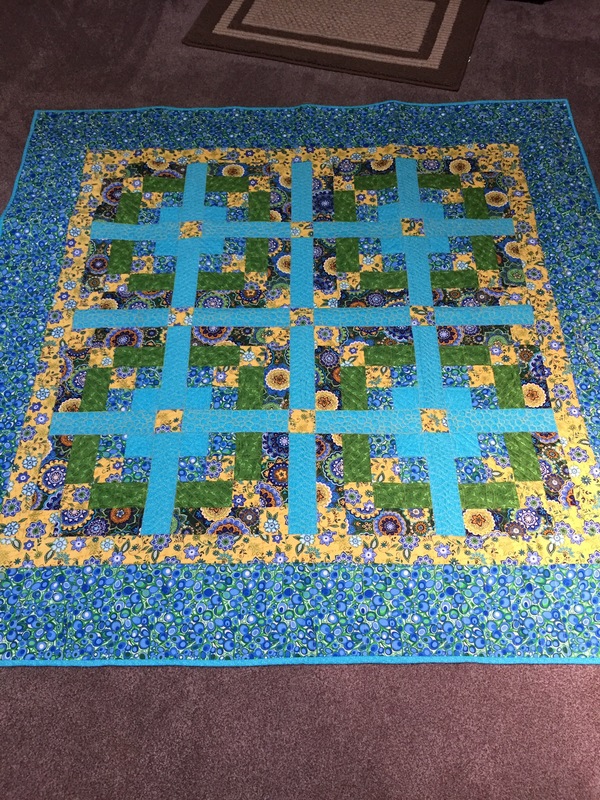 I also managed to make and quilt this commissioned Double Wedding Ring quilt. 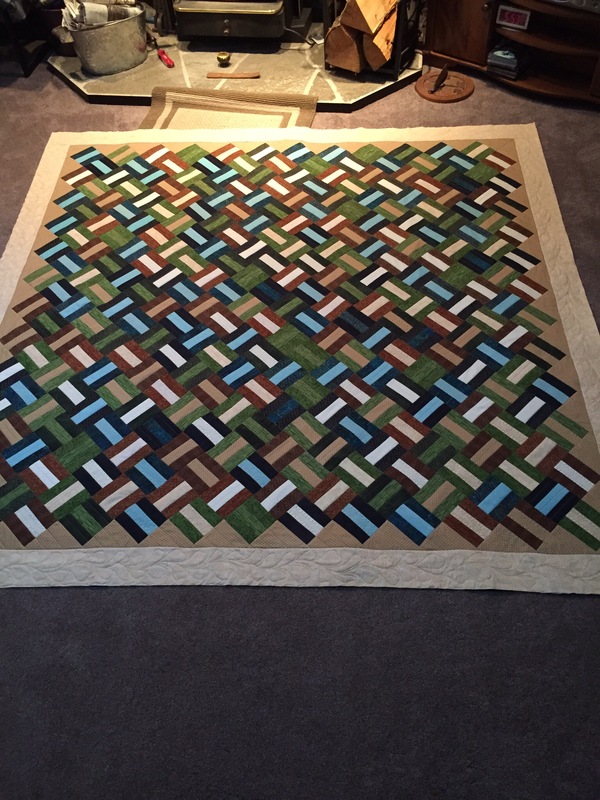 It took hours and hours to piece and then the quilting was not a fast work either. 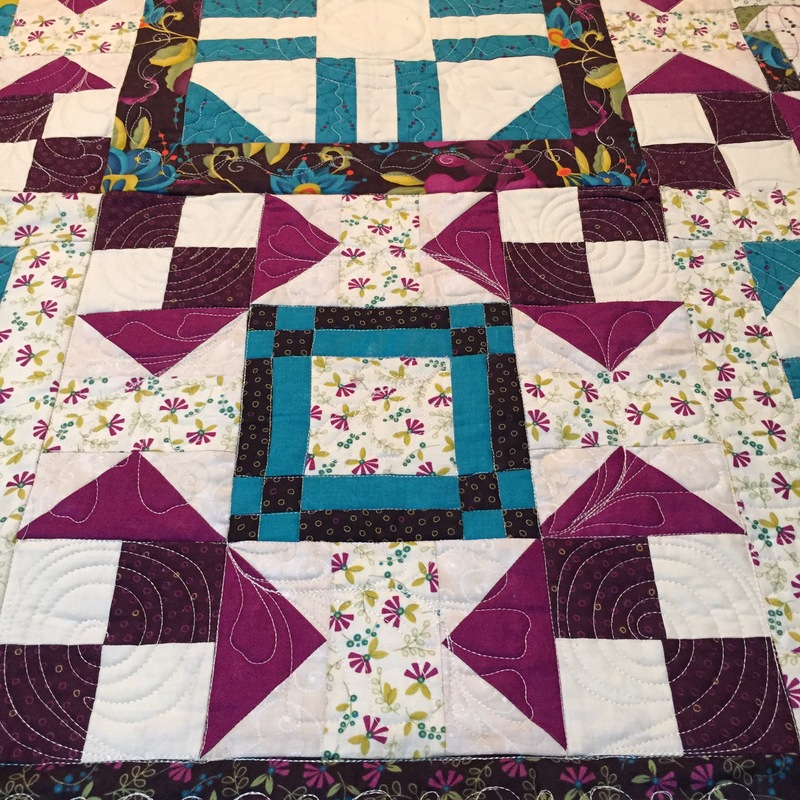 I am still trying to stay focused and get these client quilts finished before the Holidays hit! Anyway, I had better get back to work. 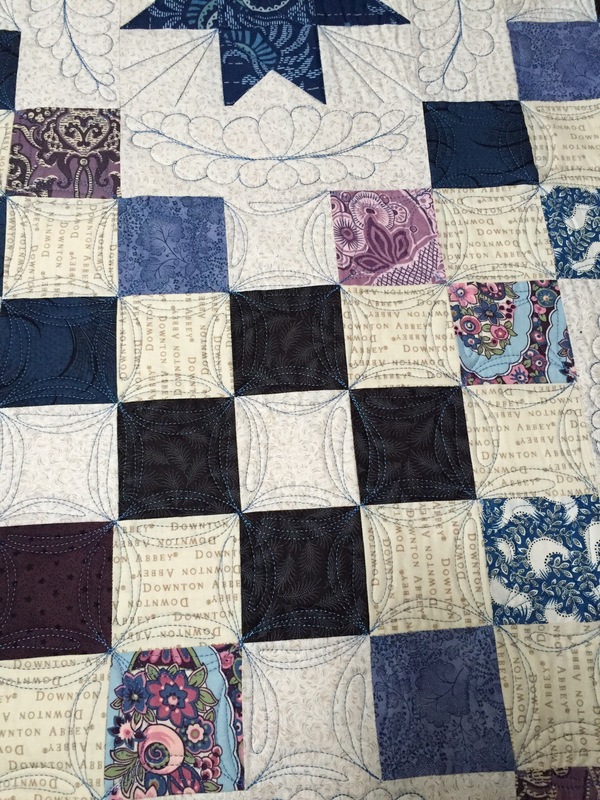 I hope you enjoyed the mini quilt show! Stay turned for more to come. A Few Pictures To Inspire . . . The following were very fun, small pieces. Sometimes it is great to have a series of small pieces to get the creative juices flowing. I still have many pictures to share with you. 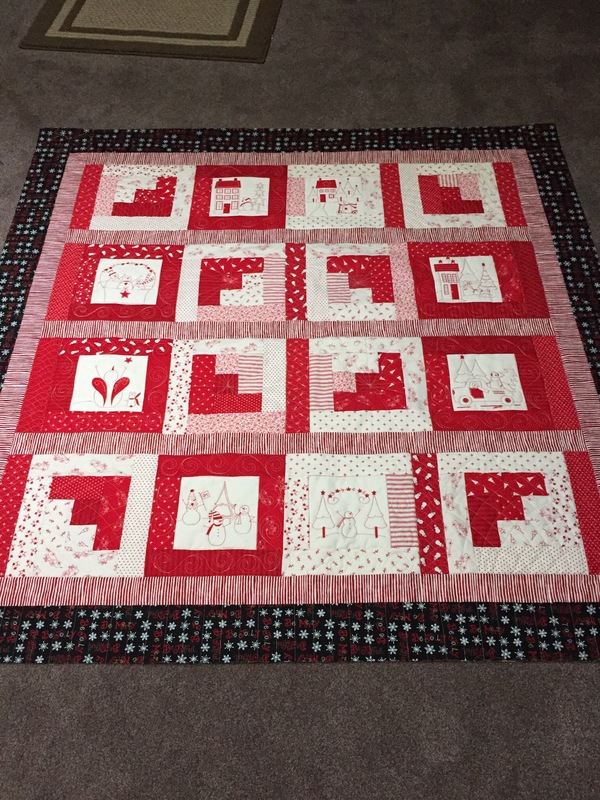 I have been busy quilting! Thank goodness it is my passion. It has been terrific to have met so many of you over the last couple of months and to have seen and worked for all of you. Continue to keep being creative so I can be creative as well. 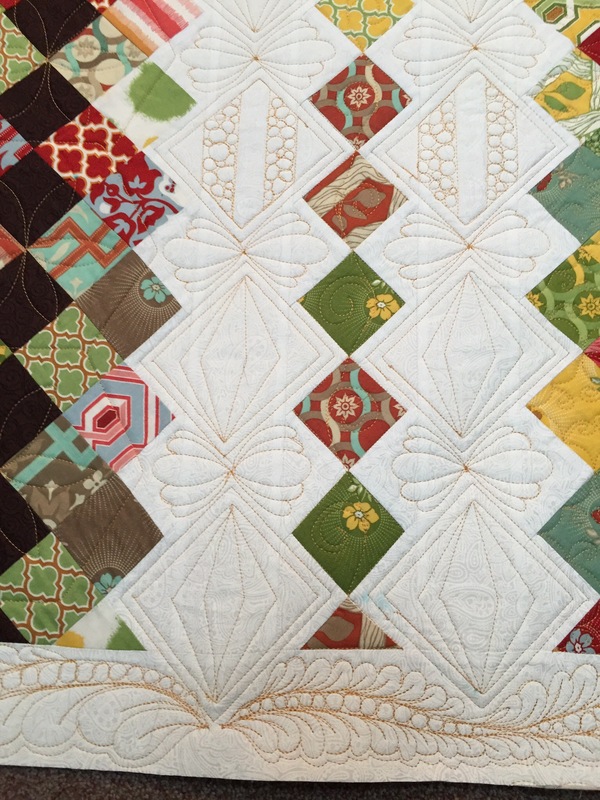 I will leave you with this gorgeous double wedding ring I quilted for Marianne. Seems that my posts disappeared for awhile as I moved into the summer, fall, and winter. I thought I was doing well with posting, until I wasn’t. I have so many pieces to share with you since last time. 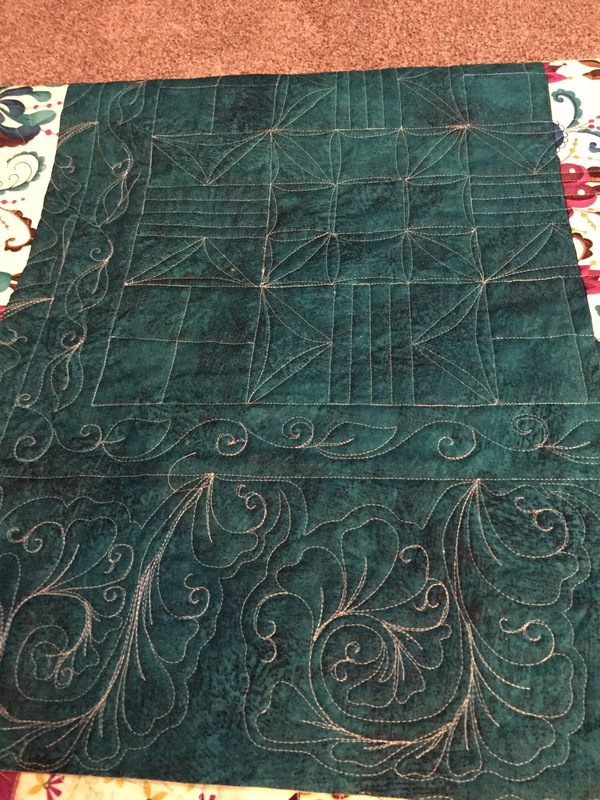 My goal during this next month is to get caught up and stay posting since I have been working on some fabulous quilts. I have added pantographs for sale on the website. I will be adding more as they begin to filter in to me. Take a look and see if there are any that spark your interest. If you are local, you can contact me and pick them up to avoid postage charges. Remember to check back as more will be added. As always, it takes me a while to get some technology things set up. I am working on the postage calculation online. Until I have that figured out, you will get two charges on PayPal when you order pantographs, one for the pantographs and one for the postage. Sorry about the inconvenience. As most of you know, I do get things figured out but tech stuff just takes me a bit longer. 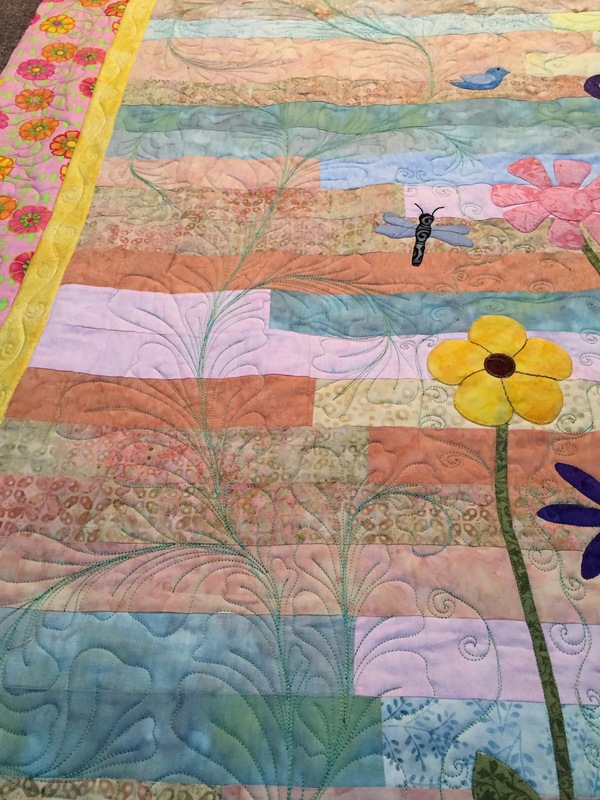 Here are a few photos from the booth that my sister and I shared at the International Quilt Show in Houston, Texas. It was definitely an experience. At least you know I am still around and am still trying to figure out the tech stuff (ha, ha). 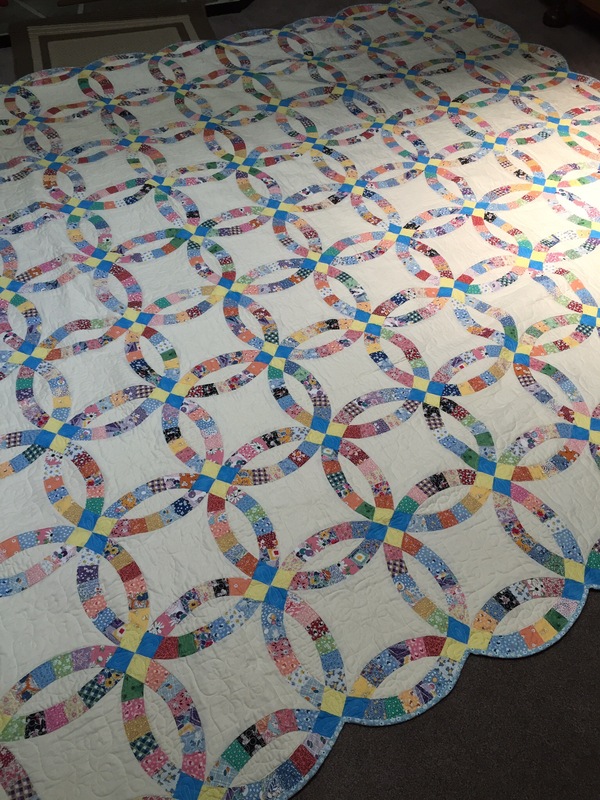 Keep watching for updates as I try to catch you up on all the great quilts I have had the pleasure to work on these last few months.